The Mariners traded utility infielder Luis Sardinas to the San Diego Padres for a player to be named later or cash considerations. 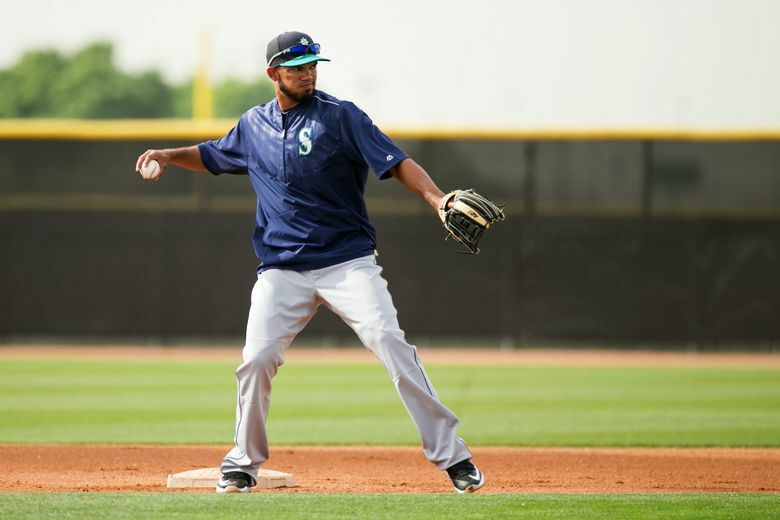 ANAHEIM, Calif. — The Mariners made a small trade on Monday morning, sending utility infielder Luis Sardinas to the San Diego Padres in exchange for a player to be named later or cash considerations. Sardinas, 23, had been designated for assignment on August 10. The Mariners were able to pick something up instead of losing him to a likely waivers claim. He hit .252 with four doubles and 17 RBI in 44 games with Class AAA Tacoma. In three different stints with the Mariners, he hit .181 with two homes and five RBI in 32 games. With the emergence of Shawn O’Malley, who has been stellar in the utility role and likely to see more time at shortstop, the return of Ketel Marte from the disabled list and the addition of Mike Freeman to Class AAA Tacoma, the need for Sardinas on the 40-man roster was negated. Seattle acquired Sardinas in the offseason from the Brewers in exchange for outfielder Ramon Flores, who is hitting .204 with a .551 OPS in 101 games for Milwaukee.